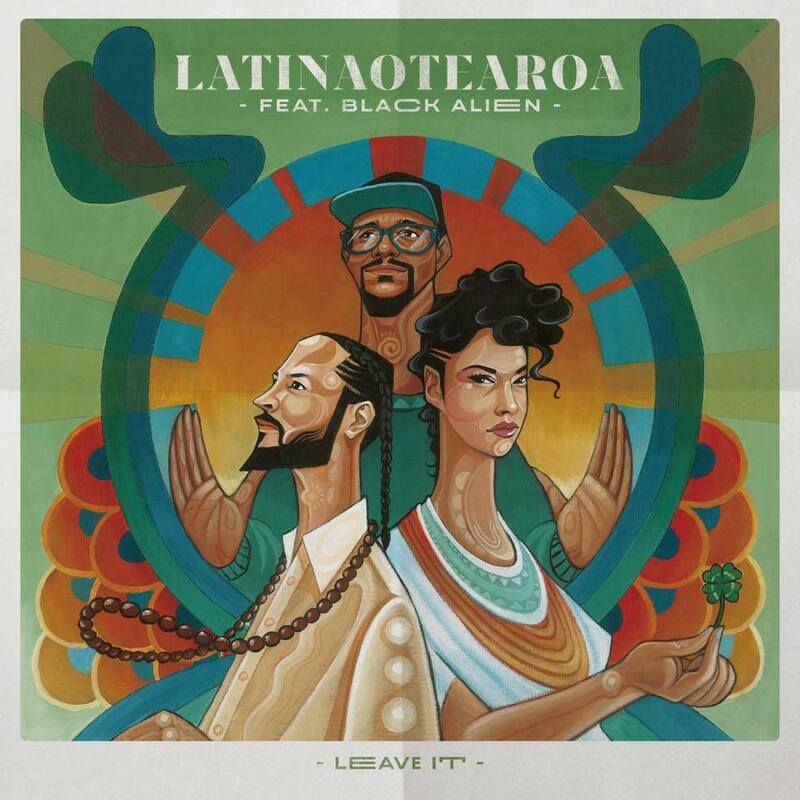 New Zealand’s musical bridge to South America, Latinaotearoa, is set to release a new single with one of Brazil’s best known rappers, Black Alien. To be released on Mucho Aroha Music, “Leave It” is a powerful song about struggle with addiction and advice from a friend on how to deal with such a desperate situation. Latinaotearoa‘s new single is anchored by a rolling groove and Jennifer Zea‘s soothing vocals. Rio de Janeiro native Black Alien, formerly of Brazilian rap supergroup Planet Hemp, delivers his message of hope with fluidity. The seamless mix of Spanish harmonies with Portuguese narrative from a New Zealand based group is sure to get the attention of critics and fans alike.